See how the Smile180 Foundation supports Tennessee's dental colleges, children's hospitals, free and reduced-cost dental clinics. NASHVILLE, Tenn.--(BUSINESS WIRE)--Delta Dental of Tennessee announced today that its philanthropic foundation, Smile180, has aided non-profit, free and reduced-cost dental clinics in serving more than 22,500 patients, 6,000 more patients than in 2014. In 2015, Smile180 provided $546,000 in grants to more than 20 clinics serving the uninsured and underinsured in Tennessee. More than half of those dental clinics are now providing additional services compared to last year, thanks to the additional funding. Increased services include providing restorative care like fillings, adding endodontic services, and increasing oral surgeries. These increased services are due in part to the approximately $600,000 that Delta Dental of Tennessee invested in capital improvements in 2014. “One of the core values of Delta Dental of Tennessee is to support efforts that enhance the health and wellbeing of those in our community by improving oral health in our state,” said Wenk. In 2014, Delta Dental of Tennessee launched its Smile180 philanthropic effort. 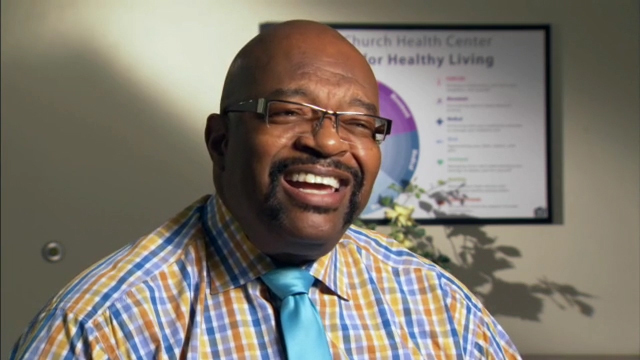 Smile180 reflects the transformative power of a healthy smile to turn someone's life around. Today, the Smile180 Foundation supports Tennessee's dental colleges, children's hospitals, free and reduced-cost dental clinics, and other like-minded charities. Since 2003, Delta Dental of Tennessee has provided more than $19.3 million in community giving. This year, more than $1.3 million in gifts have been provided through the Smile180 Foundation, and an additional $353,000 has been contributed to other community empowering organizations. Smile180 reflects the transformative power of a healthy smile to completely turn someone’s life around. We believe a smile is attractive, promotes confidence and is essential to a healthy, productive life. One of the core values of Delta Dental of Tennessee is to support efforts that enhance the health and wellbeing of those in our community by improving oral health in our state. The Smile180 philanthropic initiative supports Tennessee’s dental colleges, children’s hospitals, free and reduced cost community dental clinics, and other like-minded charities. Transforming lives. Transforming communities. One smile at a time. Visit us at http://www.deltadentaltn.com/Smile180. Delta Dental of Tennessee combines the largest national network of dentists with a focus on the unique dental insurance needs of every individual we serve. Good oral health is essential to a healthy life and Delta Dental of Tennessee makes taking care of your smile easy with access to care, comprehensive benefits, exceptional service, and superior value. In 2015, Delta Dental of Tennessee celebrated 50 years of service. The company was first formed as Tennessee Dental Services Corporation in 1965 as the result of enabling legislation passed by the Tennessee General Assembly. Since then, Delta Dental of Tennessee has grown to become the largest independent dental insurance provider in the state, with more than 2,000 employer groups representing more than 1.2 million Tennesseans. For dental made simple, choose Delta Dental. Visit http://www.DeltaDentalTN.com for more information. Smile180 has aided non-profit, free and reduced-cost dental clinics serving 22,500 patients and $546,000 in grants to more than 20 clinics serving the uninsured and underinsured in Tennessee.